Bonita Friedericy is an American actress. She currently can be seen in the television series Chuck as NSA Director Diane Beckman. 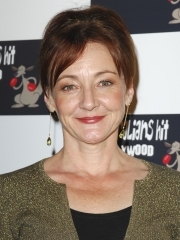 She has also appeared on Malcolm in the Middle, Veronica Mars, Star Trek: Enterprise, Bones, Parks and Recreation, The Nine, The West Wing, CSI: Crime Scene Investigation and in the film Christmas with the Kranks. She is married to actor John Billingsley. Whole or part of the information contained in this card come from the Wikipedia article "Bonita Friedericy", licensed under CC-BY-SA full list of contributors here.